link Download : Click here to download this mod! 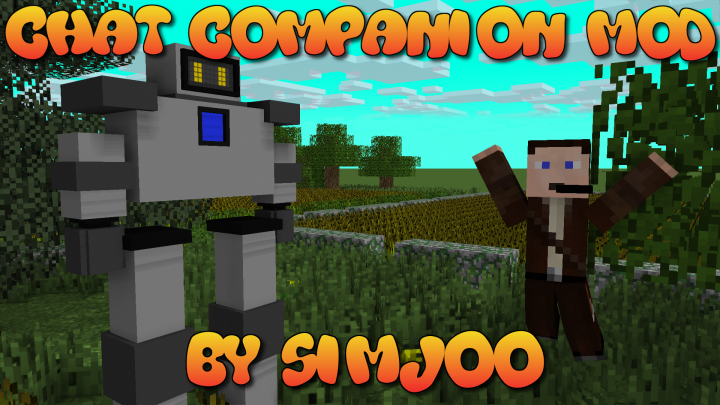 The Chat Companion Mod is a mod that adds a chatbot to Minecraft! You can use it in Singleplayer as a friend to talk to, and use it in Multiplayer to handle your responses to the other players. This is useful if you want a friend to talk to that doesn't grief your house all the time, or if you are a server moderator and just want to play the game and not having to answer annoying kids asking for op and stuff. This is a forge mod! You can just drag it into your forge "mods" folder and it'll work! Don't have forge yet? Don't worry, here's a tutorial. 2. Use it in a server! Then you need to set the message mode to the right mode for the bot to be able to react to this. Also, if there's no message mode working in the server you're in, please send me the ip in the comments and I will add it to the list. Here's a tutorial video on that! Reset Bot Thought - I - The bot will learn from you as you talk with him. Wanna set him back to a stupid bot? Press I and all his thoughts will be reset! Toggle Chatbot Type - O - There are 5 different ChatBots. The smart multilingual, the english, the boyfriend, the spirit and the german bot. This is useful to for instance lock the bot's language to english, as the multilingual bot might mix languages sometimes. Toggle Targeted Responses - U - It will now tell to whom the message in sent to by adding @[Target] to the beginning of the message. The Bot might sometimes react in genius ways. 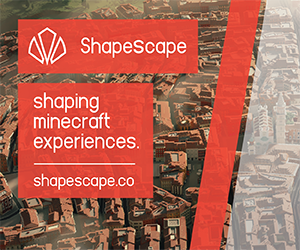 If you happen to encounter that, please make a screenshot and send it to [email protected]. I want to collect these chats and add them to this thread. I can't download it. When I click the "Download : CLICK HERE TO DOWNLOAD ..." button it sends me to a website with a blank screen and one ad on the top, please help me! I really want to install this mod because it looks really cool. Sorry, the link was broken for a few days. Should work again now. The robot won't talk to me. I'm connected to WiFi and the hotkeys work and it'll say "I'll keep my mouth shut" and all the other responses like that, but I can't converse with it. Help? It is not working for me. The shortkeys work, and it will say stuff like "ok, i'll keep my mouth shut", but it will not talk or respond in the chat. Yes, my internet works. Does this mod only work on servers, or can I use it on a singleplayer world? You can use it in both, but even in singleplayer it requires an internet connection. The API might be down, I will check soon. using the 1.7.10 ver. How do I teach it things and what can I teach it? I want to teach it that >:( means mad but the way it tells me how to teach it makes no sense. also something I would like in it is to have the chat bot be a "player" and do things a player can do (kill mobs, mine, so that it could make playing single player worlds a little more fun and maybe the ability to change it's skin or have it be other mobs (vanilla or mods). other than that great mod. it keeps me on my single player worlds because it makes it more fun. before I kept abandoning my single player worlds cause I was bored. you did a great job with this and I can enjoy single player again. This is probably the best mod I have, but can you make the bot into like some kind of human mob with a changeable skin? It would be hard to program, but it would also give me someone to play minecraft with as well as chat with. Thank you for the mod! I want this wonderful mod for 1.10.2. I love this mod >w< The only thing I do not like is that the bot cannot hold conversations for long periods of time. Like more than four replies. Would it be ok if I did a mod review of this for my YouTube Channel? This has to be, the most advanced Minecraft mod ever created. Well, friggin done. 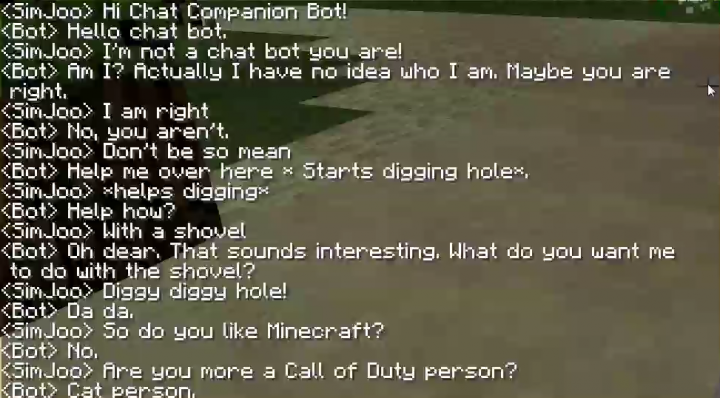 The chat bot's responses are based on previous chats with anyone. Even though there's a filter for cursing, there might sometimes get some inappropriate stuff through the filter. I'm sorry for that. Could you make the multilingual setting more normal for the 1.7.10 version. I sometimes forget to change it to english and whenever anyone says anything it says something like: "Breadcrumbs!" 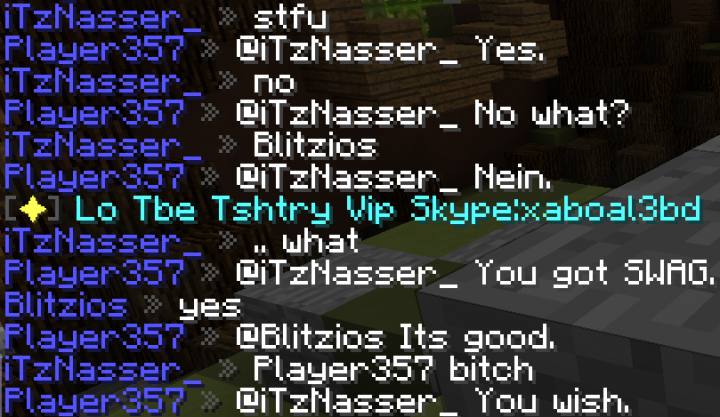 or "Time to have a lie down"
People just think I'm either a douchebag, a complete idiot, or am trying to troll people on the server... and I have NO idea that it is even going on. This is only for the so called 'smart' multilingual bot, the english one is fine. Hmmm, I'll take a look at it. It does. Please use reaction mode 2. Have you checked this video? This is really well done!!! (Are you insulting me??? Probably...) Gold!! !, Or Diamond!!! Thats rude, "boyfriend mode" Well can you add a girlfriend mode? I would ask the bot if I were you. "Can you also be a girlfriend?" e.g. I say: Hello ChatBot! are u alive? Bot:No i am a downloaded software. That's the react in multiplayer feature colliding with LAN. I will fix that asap. sometimes it helps players reply. is this a glitch? Can you make this for 1.7.2? If not I understand. Yes I can. I will as soon as I have time. WOW! How do you do it!? thats more advanced than siri! Jupp, it is :). I use cleverbot.com for the bot. Lol cleverbot! That means this requires internet then. Well, I would LOOOOOOOVE to use this, but 1.8.9 seems way too updated. I cannot use liteloader! DARN! Hey! Glad you like it! What version would you like me to create? Could you make it for 1.7.10, for the conquest/meta building community to use? The 1.7.10 version is finished! Check the download page! The 1.8 version is finished! Check the download page! Help me please! 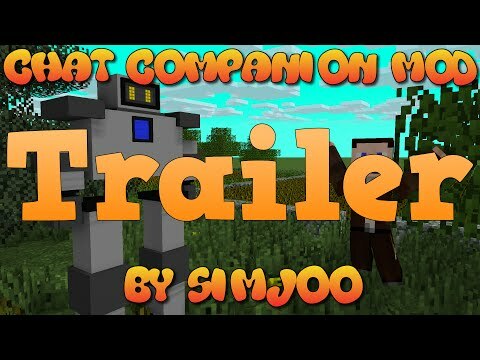 I downloaded this mod's 1.7.10 version. but I noticed the 1.7.10 version have the chat mod and a mod called imsm in the jar file. Please remove the imsm mod in the jar please! that imsm mod is lagging my mine craft! I got that too! I wondered what that was! Oh sorry, I messed up there... Now it's 100% gone :). Thanks! - What was isms anyway - all th blocks were something to do with landscaping and roads etc. [1.7.10/1.7.2] Magic Items Mod by SimJoo - 113 new amazing items!